ABU DHABI, Oct 2 2018 (WAM) – Rains fell on 29th September, have boosted the amount of water stored by reservoirs of dams in the counrry’s Central Region to 106,500 cubic metres, according to figures released by the Ministry of Energy and Industry. 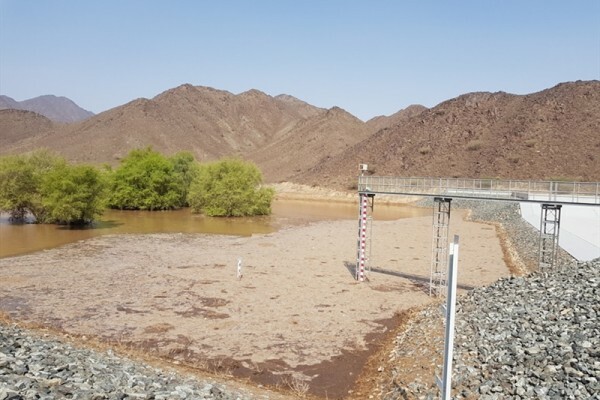 The water collected in the lake of Wadi Buraq dam was considered the largest amount from the rains and accounted for 90,000 cubic metres. The dam has a store capacity of 500,000 cubic metres. Water levels in the dam rose to 1.6 metre, the ministry noted. The ministry urged the public to take extra caution and observe safety measures for their own safety. Water collected in the reservoirs of dams and barriers, as well as runoff water from valleys, have increased groundwater reserves. According to the ministry, until 2017, the total number of dams and embankments in the country has reached 145, with an estimated design capacity of 131 million cubic metres. The ministry manages 101 dams and embankments that contribute to the enhancement, improvement and development of water resources, replenish the underground water tables and the prevention of flood hazards.